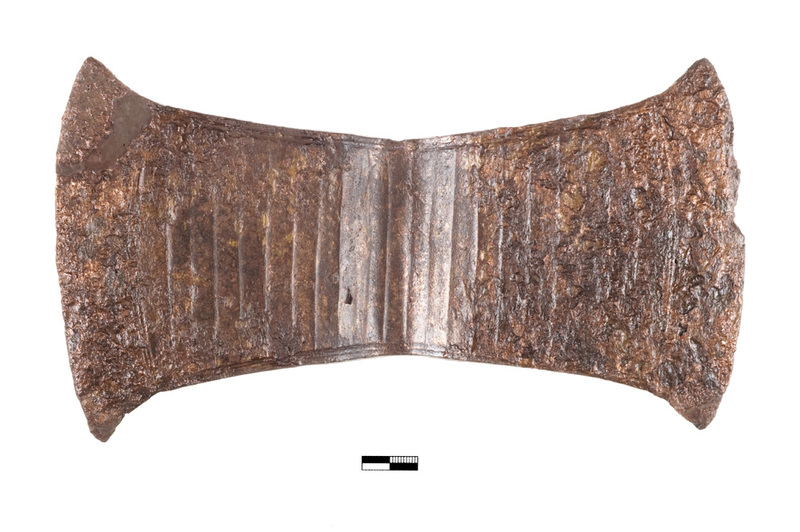 This paper aims to deduce episodes of the cultural biography of the inscribed bronze double axe from the sacred cave at Arkalochori in central Crete by focusing on its materiality and by examining the context of both its production and the reception of its undeciphered inscription. A discussion of the technicalities involved in the making of its fifteen signs and new evidence stemming from the recent restoration of the axe helps to review its inscription. It is also suggested that the symbolic reception of the double axe may be decoded through examining its performative capacities and considering the possibility of its final use in display and deposition rites taking place in the cave. It is argued that metalsmiths were definitely among the social agents participating in the deposition, possibly because of an obligation to return to the earth a portion of the objects produced from the raw materials generated by it. Part of the prestige metal votives deposited in the cave may also be the result of the competition of local elites or a social class with military associations, manifesting in ostentatious display and distinction. 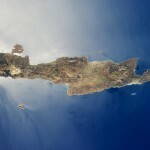 Georgia Flouda is a Curator at the Heraklion Archaeological Museum, Crete, Greece. Front-side of the bronze Arkalochori axe HM inv. no. X2416. Photo by Chronis Papanikolopoulos, courtesy of the Heraklion Museum. 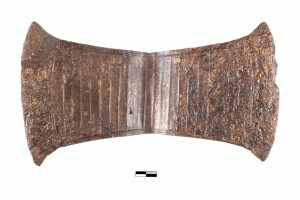 Back-side of the bronze Arkalochori axe HM inv. no. X2416. Photo by Chronis Papanikolopoulos, courtesy of the Heraklion Museum. Miniature silver double axe HM inv. no. 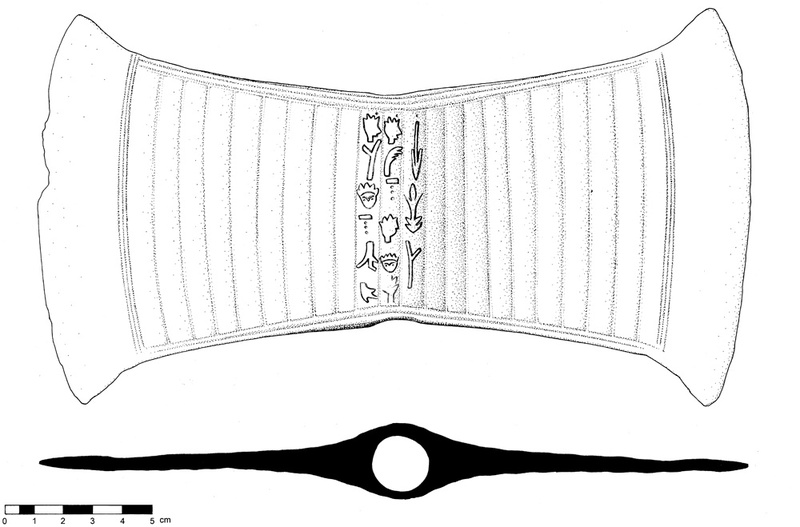 X-A626 from the Arkalochori cave, after Godart, Olivier 1982, 143. Boston Museum gold double axe (accession no. 58.1009) with Linear A inscription, after Godart, Olivier 1982, 162. Bronze sword HM inv. no. 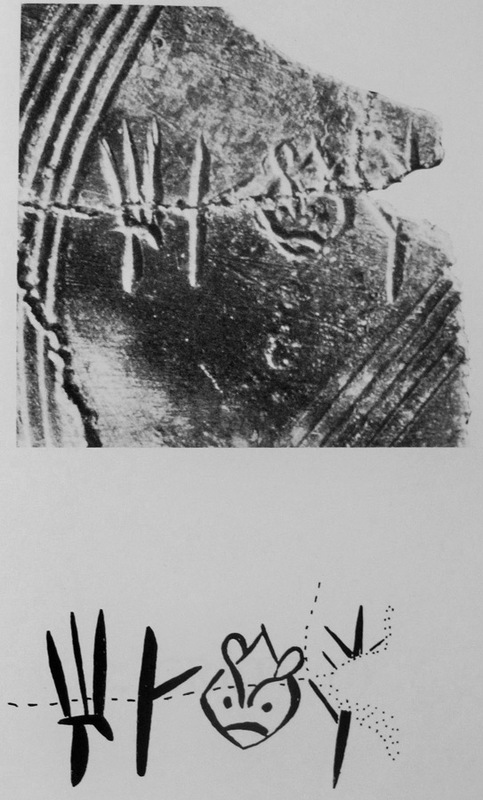 X2404 from the Arkalochori cave, after Kilian-Dirlmeier 1993, Taf. 3.15. 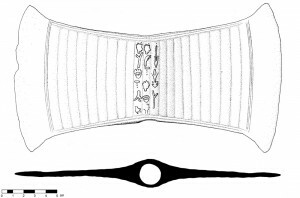 Drawing of the Arkalochori axe and its inscription (by Giuliano Merlatti). 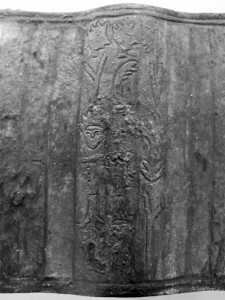 Detail of the Arkalochori axe inscription. Photograph by Yiannis Papadakis, courtesy of the Heraklion Museum. Eight-sided prism AN 1938.1166 of the Ashmolean Museum with Cretan Hieroglyphic inscription, after Bendall 2013, figs. 253-254.